To say I know where this story begins is to say I remember what lifetime started it all…and why. What I do know is this lifetime is hard and cruel…maybe like the rest. That is until I meet him–the light that shines and guides me. To where I don’t know, but my soul chooses to follow regardless. I believe my soul has done this before. I believe I will follow him…forever. "The toll on my spirit had slowly broken me down—day by day, night by night, drink by drink, hit by hit—to the limp, fragile, lost girl that Dereck Hamilton . . . carried away." A destructive home life silently destroys Serenity, a 16-year-old girl, until her broken spirit is given a gift in the form of an old journal that sends her a visitor in the night. The cloaked woman teaches Serenity that the lingering feeling of missing a part of her soul may not be a figment of her imagination, and with these words, Serenity’s journey, of this lifetime, begins. I hope she is there…"
This was a very different read for me. I went into it blind, which I prefer with most of my books. I knew it had some paranormal elements to it, so I was prepared for that. The beginning was very exciting to me, so much so that I immediately messaged a member of my review team about how the premise of the story had my mind going crazy. 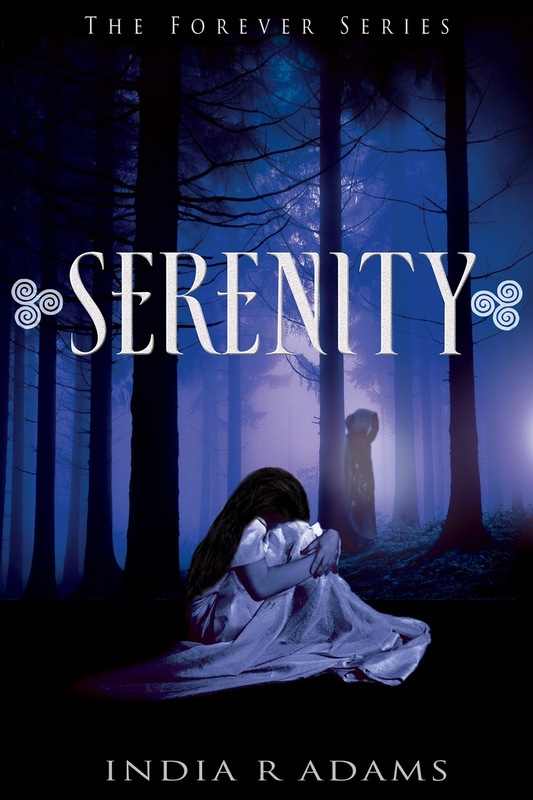 Our main character, Serenity, has visions from what appear to be past lives. Aside from her gifts that she keeps secret from others, this is the only time we really hear much about this, which was surprising because the visions were in great detail. I was really hoping there would be more to it... in a 509-page book. That being said, I'm hoping it is something that will be visited later in the series. So I'm not unhappy about it, just anxious to know more. I really got hooked into the story about Serenity and her unusual bond to her lifelong friend and neighbor, Sky. They are relentlessly bullied in school and have horrible home lives, more so for Serenity, because hers is ongoing and violent. There is a special parental relationship with older friends, Jolene and Josh, who make sure the girls have what they need both physically, academically and emotionally. They are like the touchstone for Sky and Serenity, their safe haven. When Josh and Jolene prepare for the coming year when they will be leaving for college, they introduce the girls to their other friends, The Crew, so that they can take over keeping an eye on them. 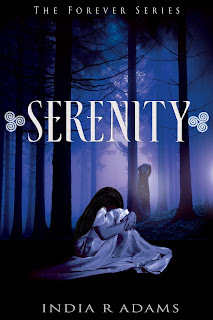 There is an immediate, electrifying connection between Dereck and Serenity that throws Serenity into those visions of the past. There is also an attraction between Sky and Rocco. From there the story is quite gripping and emotional as the group endures social drama, bullying, violence, and harassment. I did love this book don't get me wrong. The issues of physical and emotional abuse and harassment were very real and raw. It was an incredibly emotional read. When tragedy strikes toward the end of the book, I was shocked and disbelieving. The author does not mince words. I felt like I was there! I can't wait to read the next book and find out what more is in store for this tight-knit group and their unique relationships!